Announcement Welcome! Many ready-made clay figurines are ready to ship within a day or two. 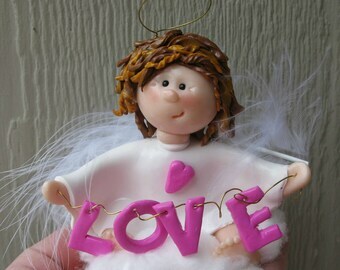 Any custom orders and cake toppers are hand-made once the order is placed and paid for. Please allow a minimum of thirty (30) days for your item to be created. Message me and I'll give you a time frame and a quote. I have created many figurines over the years for many customers all over the world. Please view my "sales" or "reviews" to see more of my creations. Welcome! Many ready-made clay figurines are ready to ship within a day or two. 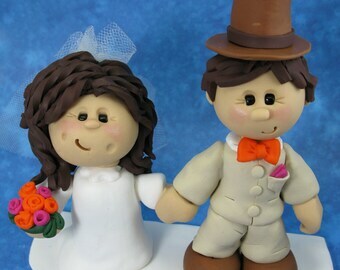 Any custom orders and cake toppers are hand-made once the order is placed and paid for. Please allow a minimum of thirty (30) days for your item to be created. Message me and I'll give you a time frame and a quote. I love my little puppy so much I am having custom dogs made as gifts. My Stuart is first, but then a third Border Collie , a Boston Terrier, a corgi and my little tiny poodle -something-or-other. Truly awesome work! My very first clay creation (gingerbread character) following the instructions on a free DIY flyer in a craft store. Then the angels were next. I created special cake toppers for personal occasions too like my son's 10th birthday. My work space is an old desk from my school days that my parents gave to me. I especially enjoy when people share their beautiful cakes with my toppers on them! I love to amaze people with keepsakes that memorialize a special time or moment in their lives. I've always had a creative energy that has sprouted itself in photography, story writing, and drawing. My love for clay and designing keepsakes started back around 2008 when I was working at a local craft store and picked up a DIY flyer on creating a clay gingerbread character. I bought the supplies and the magic began! I wanted to buy more colors, create more characters and see what I could all do with this newfound skill. Various new gingerbread characters developed and soon the idea of adorable angels sitting on cotton clouds emerged. I found Etsy in 2009 and started slowly making sales. As I chatted with other crafters on Etsy, I made connections, friends, and discovered how customers wanted custom creations. 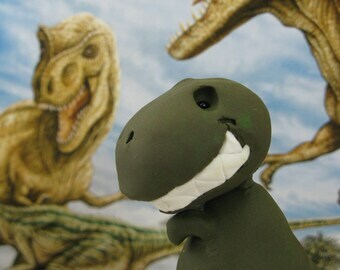 My world in crafting cake toppers out of clay began and that's when sales increased more dramatically. 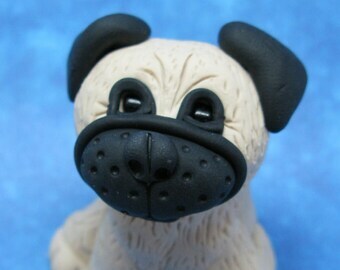 Birthdays, weddings, baby showers, Christmas, and anniversaries were popular requests for custom figurines. 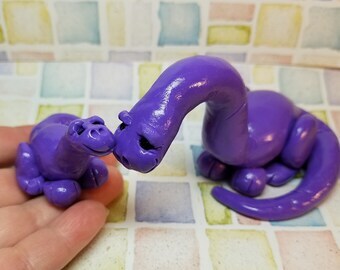 A new full-time job and some life changes required a hiatus for a few years but I always created special figurines for friends and co-workers that kept my spark alive. Most recently, I designed a wedding cake topper for a co-worker and then another for my parents' 50th wedding anniversary (see my Facebook page for photos). Although my full-time job and family are my first focus, I love creating clay keepsakes way too much to push it aside. Help support my passion for clay art and see what I can make to put a little joy in your life or someone you love. 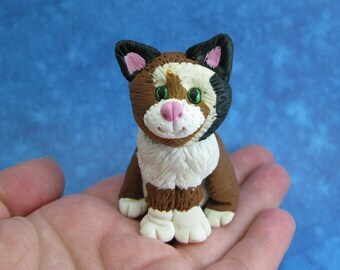 All my figurines are sculpted by hand out of polymer clay with some other materials added for accessories. Each is individually crafted with careful attention to detail. Please note that these figurines are breakable, are for decorative purposes only and are not intended as toys for children. When handled carefully, they will be a treasured keepsake for years to come. To clean, brush lightly with a SOFT bristled brush (clean make up brush, small paintbrush). You can also wipe gently with a damp cloth. Do not submerge in water. Do not display your figurines in a very hot or sunny area. If you have a question or a custom figurine you'd like to see if I can create for your special occasion, please send me a message! Please view all the pictures provided on this website for the item you wish to purchase. All items are represented as accurately as possible. I will gladly provide you with as much info as needed as refunds are not given due to the customization of the item. All figurines are packaged very well and should have no problem arriving safely. If a piece is damaged in transit, please use a clear drying super glue to repair. Feel free to message me if you have a question regarding repair. Sending it back for me to glue and send back, will only risk further damage. All custom orders require full payment upfront before I will begin working on them. Please allow me a minimum of 30 days to work on your unique project. For your convenience, my shop accepts multiple forms of payment. All figurines are packed securely in tissue and bubble wrap and most of the time (depending on the order) are double boxed with lots of padding to keep your piece safe. I ship with the United States Postal Service. Tracking information will be provided once the package is shipped. I do recycle packaging whenever possible. Clean reusable boxes and packing materials may be used for your shipment. I encourage you to reuse those items as well! I love your feedback! Please be sure to come back to Etsy and leave feedback for me after you receive your item. It is greatly appreciated.